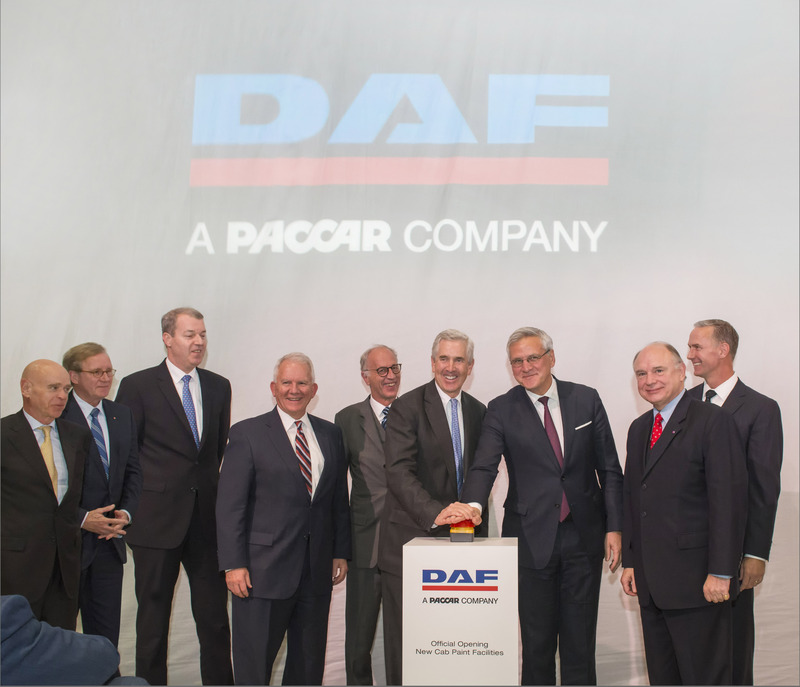 DAF Opens State of the Art New Cab Paint Facility in Westerlo - DAF Trucks N.V.
Belgium Vice Prime Minister Kris Peeters and PACCAR Executive Chairman Mark Pigott today officially opened DAF Trucks’ completely new cab paint facility in Westerlo, Belgium. The new facility represents a 100 million euro investment and sets new standards in quality, efficiency and environmental-friendliness. DAF opened its Westerlo factory in 1966, where - in addition to its high quality cabs - it also produces its highly efficient axles. DAF Vlaanderen is among the largest companies in Belgium. Some 2,600 dedicated employees manufacture cabs and axles for medium and heavy duty DAF trucks. The new cab paint facility is 144 meters long, 58 meters wide and 26 meters tall. It is capable of painting 3,000 customer selected colors. The capacity of the new facility is 300 cabs per day which is 70,000 per year. This represents an increase of 50% over the current paint factory. 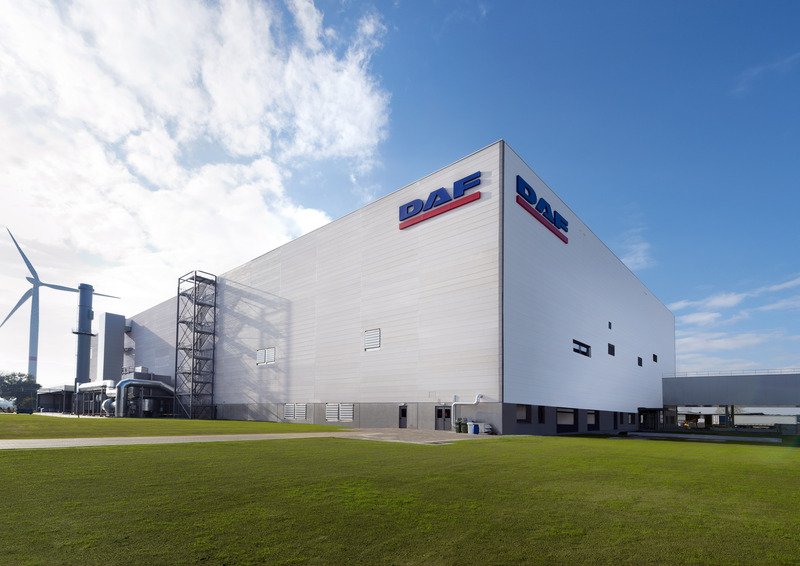 The capacity increase will accommodate DAF’s future growth in Europe and around the globe. 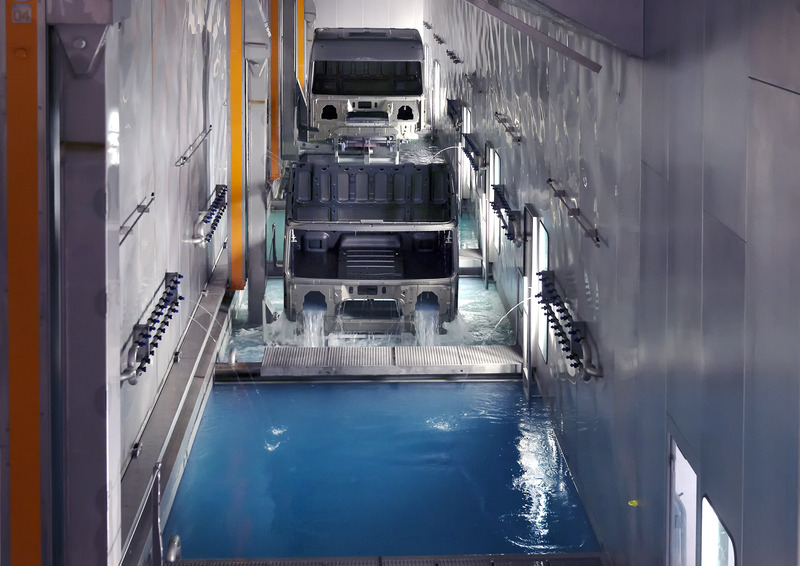 DAF’s new cab paint facility is among the most modern in the world. 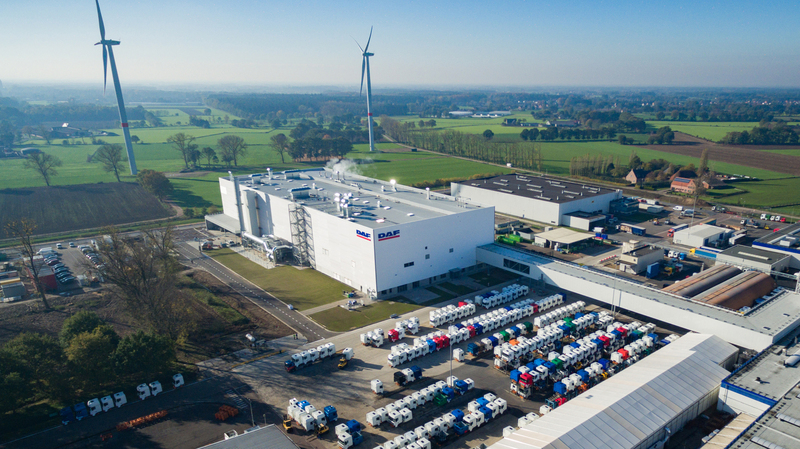 The facility was created in cooperation with suppliers Cordeel Company, Eisenmann and Dürr, who are leaders in the field of creating automotive paint facilities. The ultra-modern paint robot spray nozzles rotate at speeds of up to 50,000 rpms to produce world class quality and minimize paint consumption. Along with excellent quality and efficiency, environmental excellence has been a major focal point for DAF's new cab paint facility. As a result of the advanced paint systems a 50% reduction in emissions is being realized. 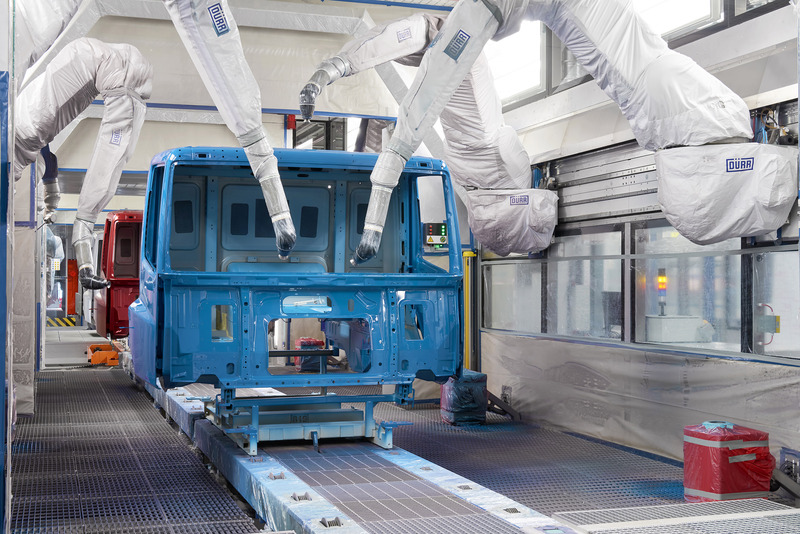 Many innovative solutions are being applied, including a special method to reduce and capture the ‘overspray’ while painting the cabs, using the latest technologies to clean the air leaving the spray booths and extracting energy from the exhaust stream to help efficiently operate the plant.